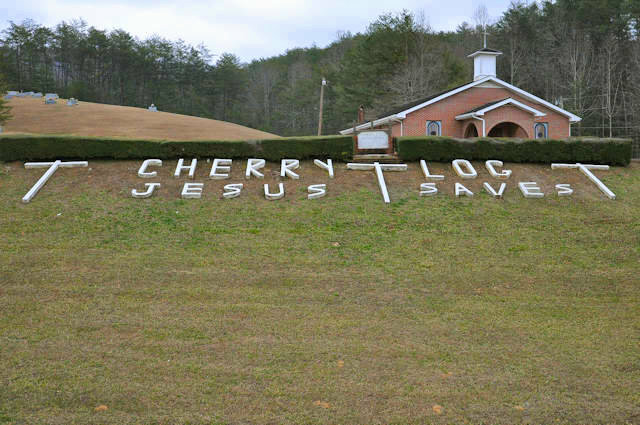 I’m not sure how long this monumental sign has been located at Cherry Log Baptist Church but it’s been a landmark on US Highway 76 for many years. Carolyn Brown writes: I live in the house next door. 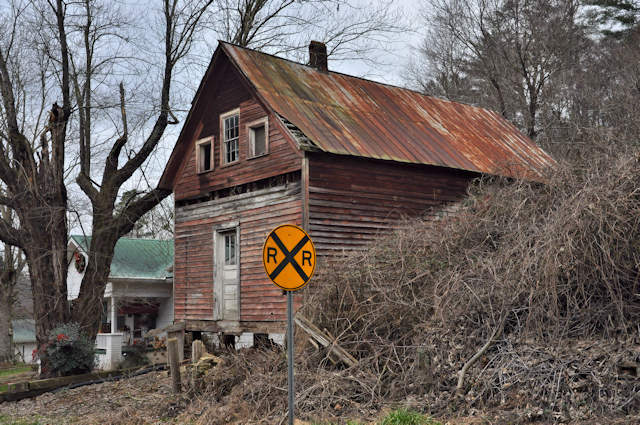 It was built in the late 1800’s and was a general store and post office. I have been here 22 years and it has fallen into disrepair. Windows are gone, front porch has fallen down ,etc. She also notes that the upstairs was a residence.